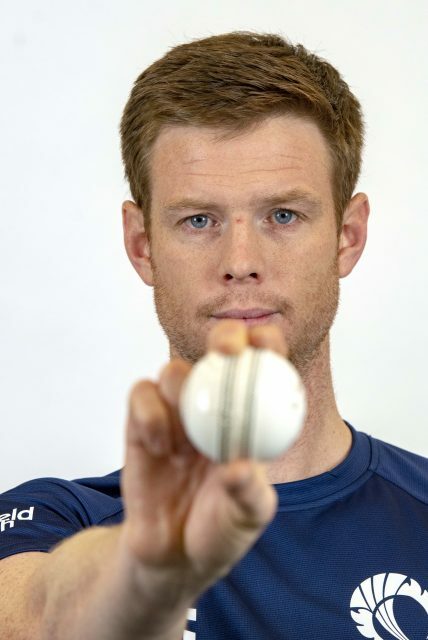 Scotland bowler Ali Evans was lucky enough to rub shoulders with some of the best from a completely different ball game during the off season – and it has left him raring to go as the 2019 international cricket season gets underway this week. 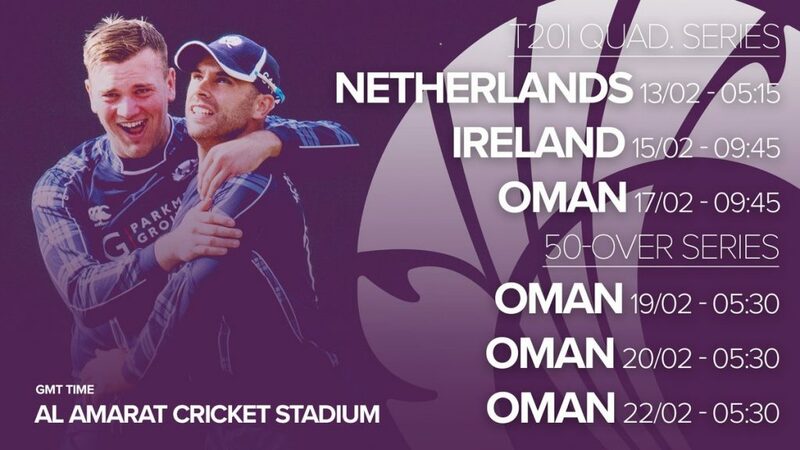 The 30-year-old has been a key member of the national team for a number of years now and is in Oman with them just now as they prepare for the Twenty20 Quadrangular Series with the hosts, Netherlands and Ireland. Eleven of the group featured in the team’s last international assignments back in June – the ODI victory over England, the T20I series against Pakistan – and then the T20I series triumph over Ireland and the Netherlands. Adrian Neill and Chris Greaves have earned their first senior call-ups after impressing for Scotland A and in domestic cricket. Ruaidhri Smith also returns after a strong season with Glamorgan. Carlton man Evans, who has 31 ODIs and 16 T20Is under his belt, is set to lead the seam bowling attack alongside Safyaan Sharif – and he goes into the batch of matches in good spirits. 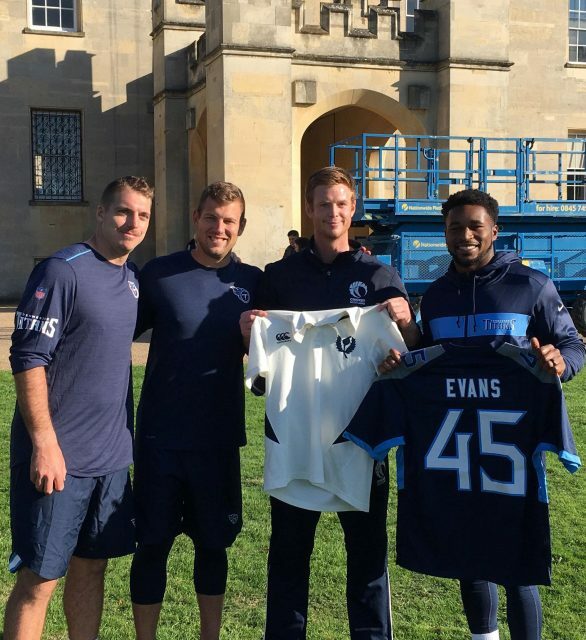 After his cracking summer for Scotland in 2018, big American football fan Evans enjoyed meeting up and swapping sporting stories with his favourite team the Tennessee Titans. 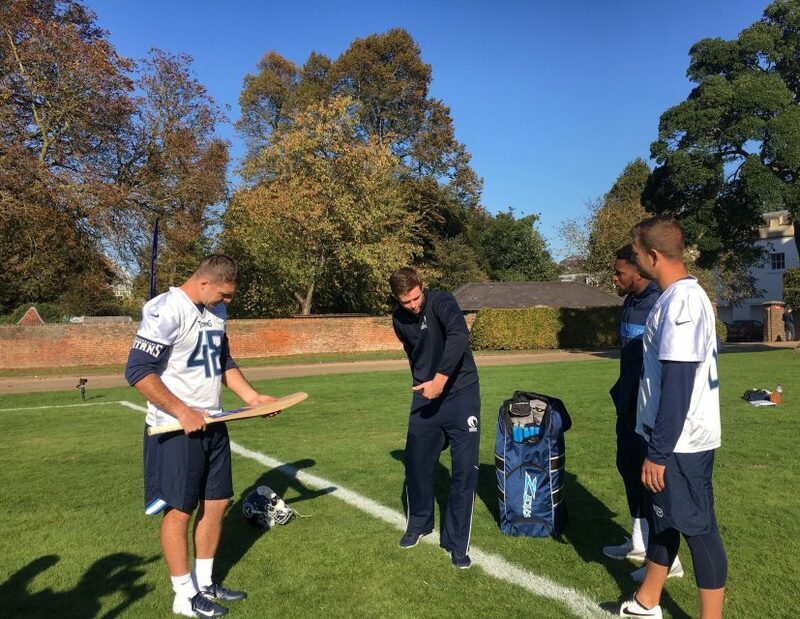 “The Titans were over in London to take on the Los Angeles Chargers back in October and they are my team,” Evans explained as Scotland trained at Westwoods Health Club At Fettes before their departure last week. “I have always watched NFL from afar, but over the last three or four years I have really got into it and every Sunday night will be watching the matches when they are on. “I was over in Nashville last year after our cricket season and, after I put up a couple of things on social media, they very kindly got in touch telling me the best places to go before the match and things like that. “We got chatting and I said that I would be at the match in London in October and asked that if there was time and the guys were keen to learn about cricket then perhaps we could meet up if they had time. “A week or so before they came to London they got back in touch to say it would be great if I could come own to training one day and chat to some of the players about a different sport and what sporting culture is like in the UK. “I went down and watched them training in west London, met the owner and the head coach and others and then a group of the players came over and we got a bat and a ball out and I tried to use my knowledge of baseball to educate them. “It was amazing because the guys were really interested in finding out about the sport and catching the ball and they were amazed [as in baseball] that we don’t use a glove to catch the ball. “To meet and chat with them was an incredible experience, to hear their stories about American football, the training, the work ethic and the commitment that they put in was great. Looking ahead to the cricketing challenges to come, Evans said: “With the likes of Stu [Whittingham], Chris [Sole] and Brad [Wheal] not on this trip, the seam bowling group looks a bit different, but Ruaidhri Smith I am excited about what we can do. “Ruaidhri Smith and Adrian Neill have come in and they are both exciting weapons to have with the ball in hand. “I can’t think of a time within my 10 years in and around the Scotland set-up that we have as strong bowling options as we do now. “There is a real good understanding amongst all of us and we know that to be successful on this tour then we have to work as a unit and at times we will all be needed to take crucial wickets. “Hopefully myself and Safyaan as the more experienced campaigners can use our experience to lead the way. “In terms of the squad as a whole, well I think we are in a really god place going into these matches.